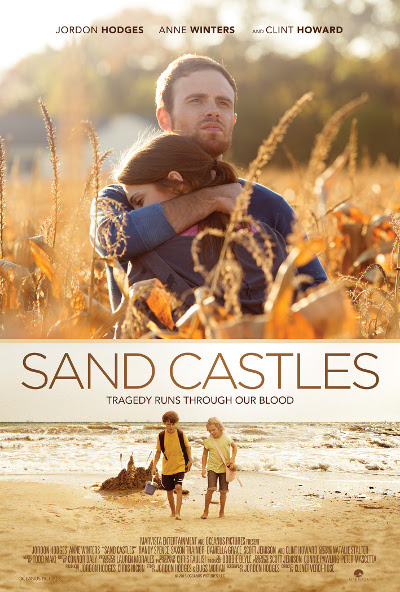 Sand Castles, a “powerful film” (Viewsonfilm.com), with a gripping story about one family attempting to reconnect after a horrible tragedy, debuts on Digital HD and On Demand February 16 from MarVista Digital Entertainment. Co-written, co-produced and starring Jordon Hodges (Impulse Black), the film also features Anne Winters (“Wicked City”), Randy Spence (“TURN: Washington’s Spies”), and Clint Howard (How the Grinch Stole Christmas) and is directed by Clenet Verdi-Rose (Skyler). In rural Indiana, Noah (Hodges) and his family are wrestling with the mysterious return of his sister, Lauren (Winters), who was kidnapped and held captive for ten years and is now mute. Each family member has dealt with Lauren’s disappearance in their own way, some more volatilely and self-destructively than others. With Lauren’s return, the Daly family struggles to become a whole family again. Her reappearance also inflames a renewed interest to identify and catch her kidnapper. Available on Digital HD and On Demand February 16.